There is no choice for the business community to make: Whether it’s an increase on income tax for millionaires or an increased tax on corporations, expect outmigration to increase and in-state growth to plummet, New Jersey Business & Industry Association President and CEO Michele Siekerka said today. Speaking with talk show host Bill Spadea on New Jersey 101.5 radio this morning, Siekerka was asked about the Legislature’s plan to raise the corporate business tax to as much as 13 percent and whether Gov. Phil Murphy’s plan to raise the income tax on millionaires would be preferable. Both tax increases are in play as the state puts together a budget that would increase spending by $1.7 billion. “So which one do you side with if you have to choose?” Spadea asked. Despite the economic impact of such tax increases, prospects of stopping both are viewed as slim. Gov. 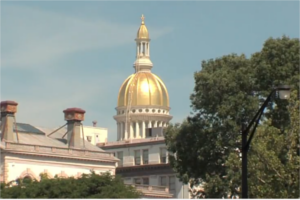 Phil Murphy has promoted an income tax increase on income over $1 million while the Legislature is proposing to increase the corporation business tax (CBT) on companies with incomes over $1 million. Tuesday, the Legislature advanced a plan that would increase the CBT to 11.5 percent for companies making between $1 million and $25 million and to 13 percent for companies making more than $25 million. A hike to 13 percent would give New Jersey the highest corporate tax rate of any state in the nation. Go here for audio of the full interview. NJ corporations received a HUGE tax break this year – there should be no problems asking them to help fund equal funding for education, infrastructure repairs and other necessary expenditures to keep NJ citizens safe, secure and well-educated. It’s not the responsibility of corporations and businesses to be the only targets for the public good or the gross mismanagement of public funds and public projects in NJ. And fyi, the corporations like Blue Cross and utility companies gave rebate checks to it’s customers. We don’t see NJ government doing the same.